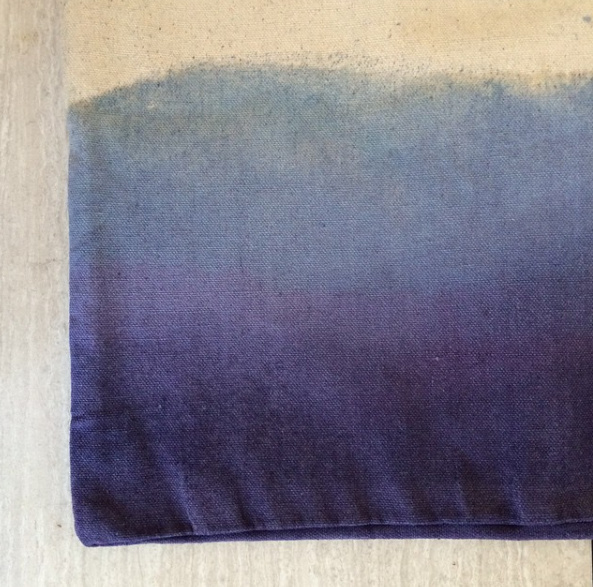 Goodness, it’s been such a long time since I shared anything on the blog. 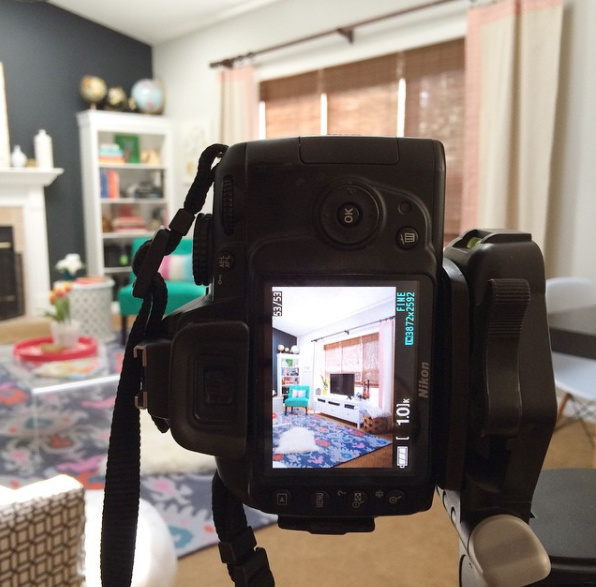 As I mentioned a year ago (I can’t believe it’s been that long), I took a step back from blogging in early 2016 to focus more on my Interior Design business that was booming. I just couldn’t keep up doing both blogging + designing, and I also wanted to take a step back from blogging as I found the dynamic had changed since I started in 2010 and admittedly, I was kind of burnt out. Anyway, the pendulum, once again, might be swinging the other way. I will have news to share soon on some big changes coming my way. 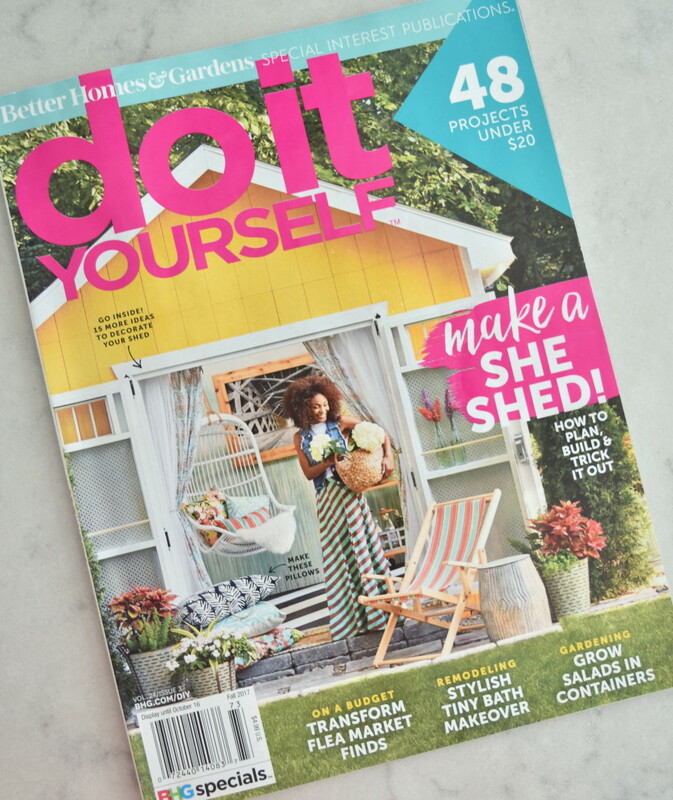 In the meantime, I’m hopping on here to share that I have projects currently featured in a national publication called Do It Yourself Magazine, a specialty publication by Better Homes and Gardens. 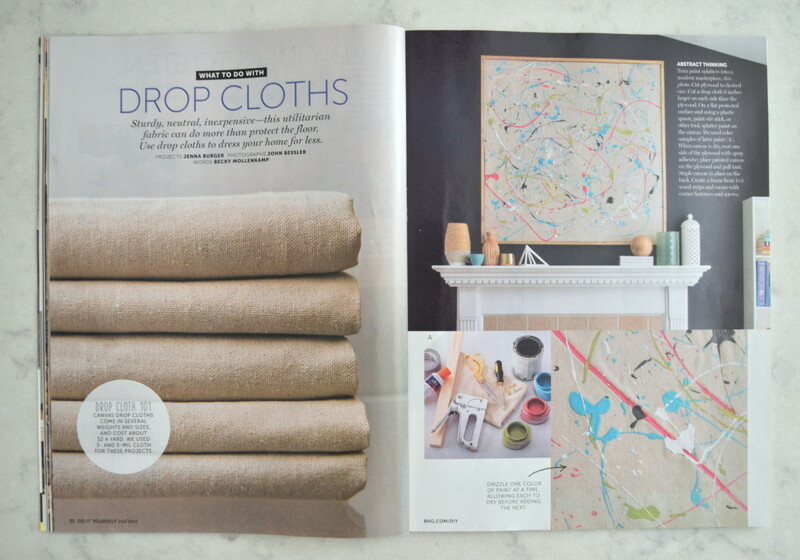 Back in February of 2015, over 2 years ago, BHG came to my home to photograph 5 projects that I created using drop cloths. Fast forward 2.5 years to present day and the projects are finally in the magazine, on newsstands NOW! 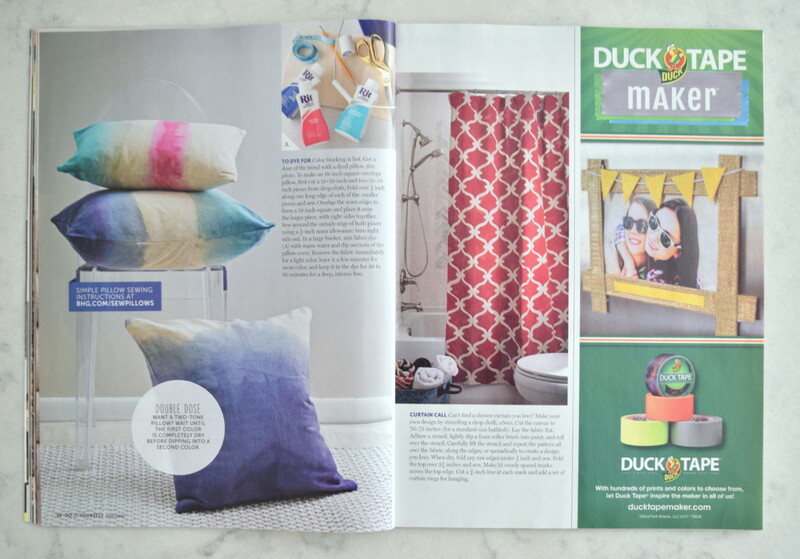 Here is the 6-page spread, but I suggest snagging a copy of your own because not only is this feature filled with great DIY ideas for the house, but there many more! 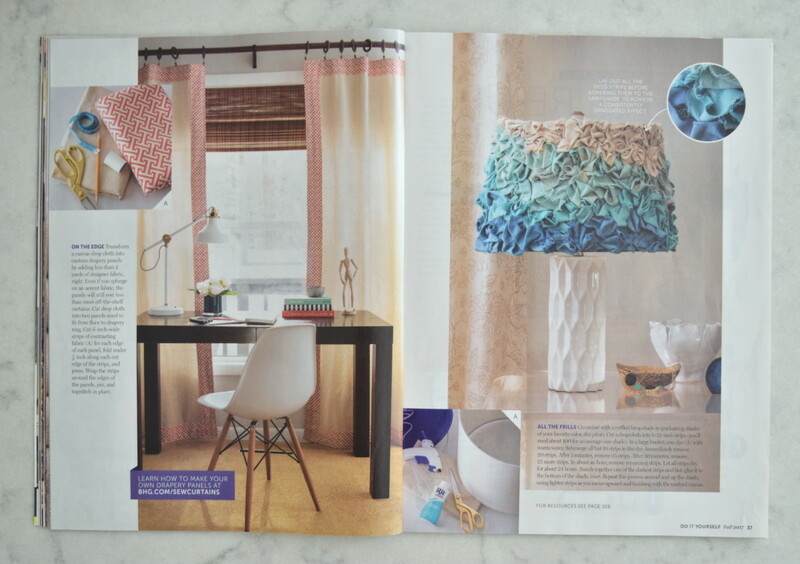 It never gets dull seeing my work featured in a magazine. It’s so validating and such an honor!